Like many other readers, I came to Aaron Mahnke’s fiction after listening to his podcast, “Lore,” which I love. I must say, I am glad I followed that trail. 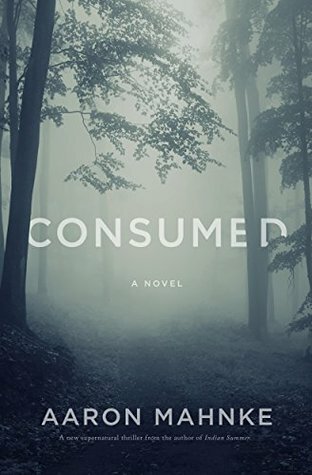 Aaron Mahnke’s novel does not provide the fear and terror that a reader of Stephen King might expect; it’s a different kind of scare. Cozy, like sitting in your favorite armchair with a cup of tea and a great book, comfy and relaxed, and BAM! something smashes into the window, scaring the bejesus out of you! Reading this, you’ll end up with tea all over your lap, and your book tossed to the floor in fright. Be careful. I’ve written before about some of my favorite books that have become great movies, in a post I called Movies That Move Me. Today I’m going to talk about the same thing, sort of. Ya see, I’m a little compulsive. If I see a movie, and discover it was based on a book, I HAVE to read that book. This has, on occasion, been an issue, finding obscure works. Thank goodness I live in the same city as Powell’s! 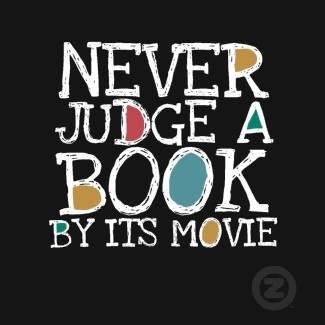 This works both ways, however–I have to see movies based on books I’ve read. And this is not always as fun, since film-makers often destroy my favorite works. Today I’m posting about a few movies that were as good as their books. I’ll talk about some of those that weren’t another time. Oh, by the way, I am leaving the works of Stephen King out of this list completely; I feel he deserves a list all his own. Here we go! The novel, by Stella Gibbons, was published in 1932. It parodies the romantic novels of the time, and is truly one of the funnier things I’ve read. 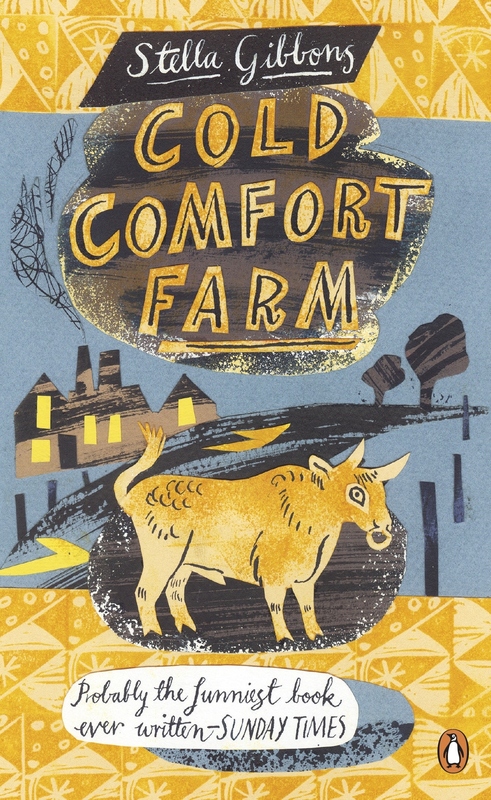 Young Flora Poste, recently orphaned, must choose which of her family members to live with; she goes to stay with the Starkadders at Cold Comfort Farm, after being told they must “atone for the wrongs done to her father.” She heads to Sussex, and begins to straighten out the mess on the farm immediately, rearranging lives, and teaching modern lessons. She even gets Great Aunt Ada (who “saw something nasty in the woodshed”) to come out of her room, which she hasn’t done in decades. With the aid of her friend Mary back in London, and ‘The Higher Common Sense’, which is her handbook, Flora solves everyone’s problems. The film, made by the BBC in 1995, stars Kate Beckinsale, Joanna Lumley, Rufus Sewell, Ian McKellen, and Stephen Fry. It is a faithful rendition of the book, and quite well-made, as well. The casting is excellent, and, as in most BBC films, the costumes are perfect. Of course, it’s worth a watch just to see Rufus Sewell, as Seth Starkadder; he’s quite a hunk, and shirtless through a good deal of the film! 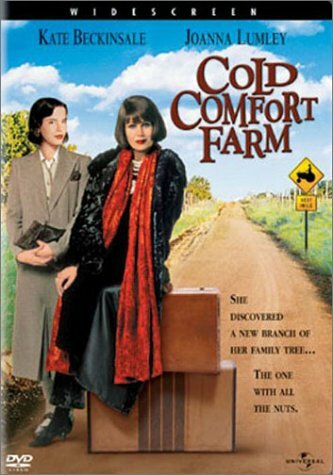 I will grant that not everyone will understand why Cold Comfort Farm is funny, but even if you don’t know the style being parodied, it is still worth reading and watching. 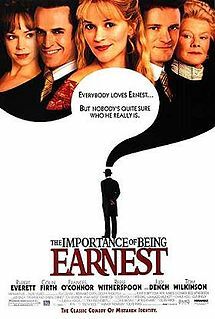 What can I say about The Importance of Being Earnest? Oscar Wilde’s farce about mistaken identities, secret romances, and the complications of love, family and society is still as amusing as when it was first published in 1895. Gwendolyn and Cecily are in love with the same (imaginary) man, Ernest. Jack has been wooing Gwendolyn using the name Ernest; Algernon has also courted Jack’s ward, Cecily, using the same name. When all four end up at Jack’s country home one weekend, the trouble begins, as both “Ernests” must win back his beloved. Only the arrival of Lady Bracknell, Gwendolyn’s fierce mother (and Algy’s aunt), can bring the chaos to a suitable ending. I read this first in ninth grade, and later performed parts of it in theatre classes. (I was an awesome Lady Bracknell!) Oscar Wilde rocks, and that is all. There have been several film versions, but I prefer the 2002 version starring Colin Firth as Jack, Rupert Everett as Algy, Reese Witherspoon as Cecily , Frances O’Connor as Gwendolyn and Dame Judi Dench as Lady Bracknell. This was the third time Judi Dench had played Lady Bracknell –she was cast in a BBC radio version in 1994, and a National Theatre revival in 1982. Here’s a clip–Jack/Ernest, being interviewed by Lady Bracknell after he has asked to marry Gwendolyn.